While all Macs come loaded with Bootcamp, making it easy to install any other OS alongside OS X, having to reboot your computer each time you need to test something in Linux, or whenever you have to use software that works only in Windows, is nothing short of a hassle. One of the best Mac alternatives available that enables you to get the best of all OSes is Parallels Desktop. This week, we’re giving away 15 copies of Parallels Desktop 6 for Mac worth almost $1200 in total. If you’ve always wanted to buy one but never got around to it, here’s your chance to win it for free! The recently updated Parallels Desktop 6 makes it easy to install Linux and Windows from a disc or an .iso file. The installation process is completed with an easy-to-follow wizard, taking you through a few simple steps to getting another OS working on your machine. When you want to create a new installation, select the source file, whether from your optical drive or from an .iso file on your computer. If you want Parallels Desktop to determine the settings for you, select Express Install, and enter the product key if necessary. This will take all the hard work out of the process, leaving you only with a few choices such as how you want to work with your Windows applications and the location of your Virtual Machine. Deselecting Express Install will give you the same choices, such as your Mac integration, along with the ability to determine exactly how your OS will be set up. When choosing a name, and selecting the location for your Virtual Machine, make sure that ‘Customize settings before installation’ is checked. As the Windows set up launches, you will be able to determine the exact settings for your Virtual Machine. First you can determine how much RAM the machine will use. For Windows 7, you’ll need at least 1 GB (1024 MB). Next, you can determine various options including how Parallels will behave on startup and shutdown, determine the performance optimization, security, sharing options and much more. Lastly, you’ll be able to determine the hardware settings, including boot order, selecting your optical and hard drive, network and printer settings, amongst others. If you’ve installed several different OSes on your machine, launching Parallels Desktop will give you a convenient menu to select the OS you want to launch. Just about any OS will work out of the box, meaning that if you want to try out the latest Linux distro, you don’t have to worry about configuring settings, and will run seamlessly within your OS X installation. When plugging in USB devices, you have the choice to use them either on your Mac OS, or in your virtual machine. Another huge advantage to using Parallels Desktop is the ability to easily drag and drop files from one OS to the other. You can take this one step further with Parallels with the option to run Windows programs in Coherence mode, as though they were part of your Mac OS. Windows programs can be accessed from the dock. And they will run side by side your Mac apps seamlessly. If you’d prefer, you can keep the two separate, running your Windows OS in a separate window, identical to any Windows OS. While Parallels prompts you to choose your preference during the setup, you can easily toggle between the two after installation. For those of you who already have Parallels Desktop, what will the latest update bring you? Most of the changes are subtle, or under the hood, but some of the surface changes are the ability to search for Windows programs using Spotlight and support for new OSes including Ubuntu 10.04, Fedora 13 and Windows Server 2008. 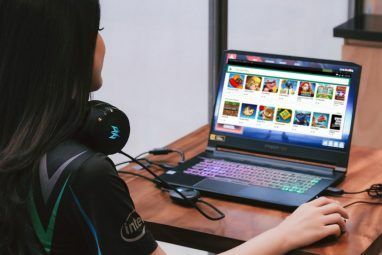 Under the hood, they’ve been working on a faster Windows launch time, and an increased speed to allow for an even better gaming experience. We’ve got 15 copies of Parallels Desktop 6 to give away this week and here’s how you can win one. This giveaway begins now and ends Saturday, January 29th at 2100hrs PST. The winners will be selected at random and announced via email. MakeUseOf would like to thank Parallels Holdings Ltd. for their generosity while participating in this giveaway. Interesting in sponsoring? We’d love to hear from you. Get in touch with us via email. Explore more about: MakeUseOf Giveaway, Virtualization. I prefer Vmware Fusion. It's fast and stable (and cheap for students). What a great application and a new method to access windows apps in mac nice i love it. I could really use this!!! This is a great promo. Even if I don't win a copy I will be buying one!!! Already use Parallels on my Mac mini- works great with ubuntu and Win7 both. Just got a MB Air, so could use another copy! Thanks for this guys! This will definitely generate a lot of publicity for your site! Parallels is for mac, not windows 7. And it is hands down the best performing virtualization software on the market, I use it everyday. I've tried various virtualization software for Windows on similar powered machines, and they have all ground to a halt or killed the whole system. I eventually switched all my vritual machines over to Mac with Parallels, and havent looked back since. OK, but for normal use on a Win7 laptop just to quickly run a linux/mac/other windows version app? If I don't need mobile access and don't use the computer for gaming, that tells me nothing. Also Virtualbox has "seamless mode" which is Parallels' "coherence mode" as far as I can tell. Current version 3.2.12 has 3D acceleration as well. oh man. if i win, i will freak out. I def need this bad! A question, if I may: What are the pros/cons of using Parallels over using VirtualBox (which is free)? Quite a bit actually -- mobile access, coherence mode, 3D acceleration for starters. Free is the best price! I do want to win this. I was trying to buy my copy online, but unfortunately, the authorization of my card has failed. You guys are awesome, giving things away all the time!